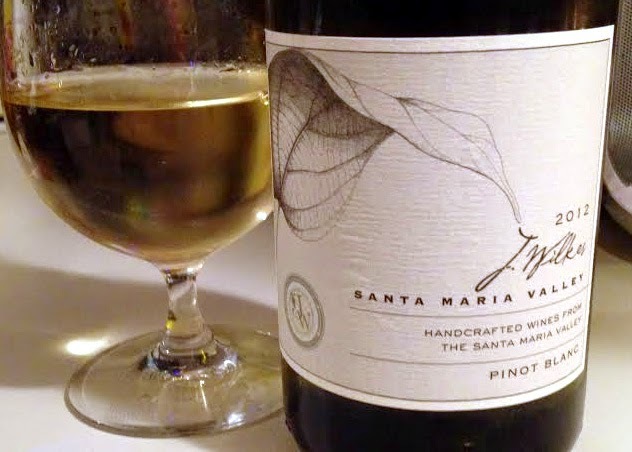 Pinot Blanc is kind of a forgotten varietal and those that are unaware of its existence automatically think of Pinot Grigio when they come across it. That's a shame. Let me tell ya: Pinot Blanc and Pinot Grigio really couldn't be any different. Pinot Blanc is full bodied, silky, sometimes oily, and full of character. Pinot Grigio is... well... let's just leave it at that. The J. Wilkes winery was established in 2001 by Jeff Wilkes, who has since passed away. It's located in Santa Maria Valley, which is within Santa Barbara and San Luis Obispo, California. The current winemaker is Vidal Perez. He was born in Mexico, graduated from Fresno with a degree in Viticulture and Enology, and worked his way up through the industry starting as a vineyard worker. The Beverage Tasting Institute gave the 2012 Pinot Gris 92 points.The grapes were grown by Bien Nacido Vineyards, one of the oldest and most respected in the Central Coast. I love the whole package, especially the bottle art. It features a sketch of a leaf, a JW stamp of approval (that's just what I'll call it) and a nice, clean information design. The bottle is burgundy-style and the ABV is 13.8%. The color of the wine is vegetable oil. Would that be acceptable for the Guild? No? I really need to work on my visuals. But seriously the color is vegetable oil. The nose has tremendous minerality along with cilantro, pears and a tiny bit of petrol. Pleasant, soothing, non-invasive. BOOM! IT'S A GODDAMN EXPLOSION! IN YOUR MOUTH! Immediately after you let that wine go down your gullet you're left with the impression of a completely different wine with a completely different personality. There's white pepper and lime and peach and nectarine. The finish is a spicy fruit bomb! It really is a cool thing to experience! Customer: What goes with fish? Customer: I don't know... fish. Me: How is it prepared? Is there a sauce? Customer: No idea. It's fish. Me: Okay. How about a Pinot Blanc? This is my Pinot Blanc of personal choice and my Pinot Blanc of professional choice. And it's usually my first suggestion with the vague fish situation. Of course, if I had more information I might go with something else like a Sancerre or a Viognier but this Pinot Blanc will pair well with anything that comes out of the water. It'll also go great with salads and, believe it or not, steak. 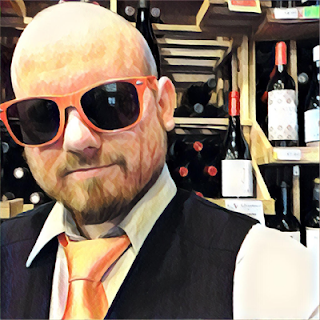 And remember this, dear reader: Red wine may be more popular than white wine but Chardonnay is the most popular varietal in the world. Pinot Blanc has the big body and roundness of an oaked Chardonnay but the ability to pair with more foods because, even if it does see some oak aging, it's not oaky. If somebody is making a dish that contains garlic and they like oaky Chardonnay (A DISASTER WAITING TO HAPPEN) they have to be brought over to the Pinot Blanc. I've had some nice success redirecting food-pairing Chardonnay-loving customers over to Pinot Blanc. Just last week a regular was raving about how happy she was that I suggested it to her because it was something she would never had even thought of buying. And she loved it. HIGH FIVE!